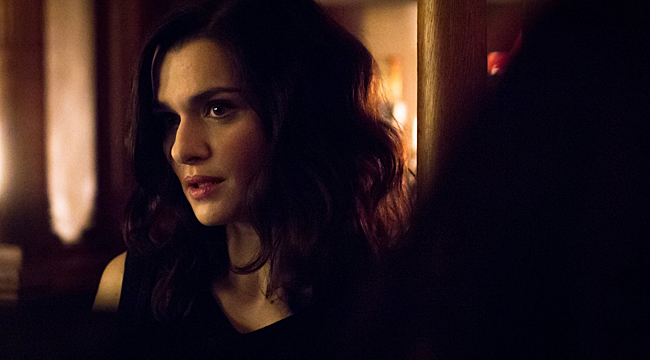 Not your typical stalker flick, Complete Unknown, the latest film from writer-director Joshua Marston (Maria Full of Grace, The Forgiveness of Blood) revolves around a mysterious woman (Rachel Weisz) who shows up at a party hosted by a former lover (Michael Shannon). Turns out, the woman is some kind of chameleon that regularly changes identity, something she displays when she has a chance encounter with a woman (Kathy Bates) and her husband (Danny Glover). Marston recently phoned us to talk about the movie, which he co-wrote with playwright Julian Sheppard. Talk about your background. What initially got you interested in filmmaking? It goes back to having taken a photography class in high school and becoming obsessed with photography and just enjoying visually framing things. I got into taking photographs of people and then more documentary-like photography. I got to a place where I found myself telling the stories about the people whose photographs I took. I wanted to do something more narrative and loved movies. There were a couple of other things in between. It took me awhile to work my way around it. You co-wrote the script with Julian Sheppard. What prompted you two to work together in the first place? He and I had met in 2001 and remained good friends. I was determined to write something quick that would be shot quickly and below budget enough to not fall apart. He offered to put some ideas together. We were thinking of doing something contained and rather small and we started to think about a dinner party situation. We wanted to make a movie about a woman who wasn’t who she appeared to be. We landed on this image that was the starting point. We thought of being at a party when you run into someone you recognize but she doesn’t acknowledge that she recognizes you and even has a different name and a different biography. Have you ever known someone like Alice? That’s the question. Does anyone know someone who has done this? Would we know? How would you know and find out? I don’t think I know anyone. I had a friend who made a movie about a con man who was arrested for having falsified his identity multiple times. I think there are people who have done it. I don’t know if people have done it as pathologically as Rachel Weisz’s character has done it. I use that word carefully. I don’t view her or want her to seem crazy. She’s doing something pathologically in the sense that she’s almost addicted to the high she gets from it. If you said she was Sybil with multiple personalities it would be too easy to dismiss her as a character. Part of the point is to challenge the viewer and ask if it’s possible. If you, like most people, walk around with this fantasy of leaving everything behind and starting afresh, what’s preventing you from doing that? Aren’t the reasons that you give valid or real? You’ve likened her character to a director who regularly takes on a new persona. Right. I took an improv comedy class and one of my favorite games is playing the expert. You get questions and give answers and you make things up. To a certain extent, that’s what we do as filmmakers but I’m usually pretty rigorous in doing the research. That’s what’s enjoyable. Filmmaking affords me the ability to go into different worlds and learn enough. This is a much more fantastic premise and a much more literal version of that. She actually becomes these people. What made you want to film in Brooklyn? I live there. I filmed in South America and I filmed in Albania. It was time to make a movie where it was nice to walk to work. What do you like about the setting? It’s filled with all these little worlds within in that are there for the exploring. That’s one of the things going on in the Kathy Bates and Danny Glover section. On the second floor of this random building in a neighborhood in Brooklyn, there is this story going on with these characters and this Haitian guy making stew. It’s its own little world. It feels like New York is full of those. In some ways, it’s the perfect ground for a movie like this, which is about a woman going into different worlds and exploring them. I cast Rachel first because she is so alluring on screen and evokes so much mystery. I knew that the character had to be mysterious. We added Michael Shannon. The interest in Michael Shannon is that I loved him as an actor playing psychotic roles. I was interested in reinventing him as an ordinary guy going through a familiar mid-life class. If you cast a character who’s ordinary, that’s not so interesting. You wouldn’t think of Michael Shannon as an ordinary guy going through a mid-life crisis but it’s more interesting to cast Michael Shannon. What’d you do to create the chemistry they have? They had the chemistry. It’s about bringing it out as it is about not getting in the way of them. It’s about creating an environment on the set so they can do their best work. You have eight actors around the dinner table and they can be in the moment and pull off that banter in a believable way. Do you think of the film as a romance? I think of the movie as a bit of a mystery and a story about identity. There is a romance involved in it. It’s much more than the quintessential “ex-girlfriend shows up on your doorstep” movie. There’s a lot more going on with it. She tries to tempt him into her world? For sure. At the deepest level psychologically, she has done it so long that she has lost touch with herself. She shows up at this guy’s house who asks her what the hell she is doing and she is put on the spot to try to justify it. Whether she’s aware of it or not, her way of justifying it is lead him into doing it and to show him how alluring it is. In the process she reaffirms for herself what she is doing. She’s at that point in her life where she’s doubting everything. She’s not showing up with designs on prying apart his marriage and regaining a lost life. She’s showing up in a much more complicated and rather selfish psychological motives. I feel like the movie ends without any resolutions. Do you agree? I try to tip the balance a little bit in one direction. My intention is that even if it’s unstated, you get the sense that she will go off and do it again. There’s a certain irony that he will make a change and she will make a change and in so doing not make much of a change. Hopefully she’ll be more grounded because of the evening she spent with Michael Shannon’s character.